That’s because the food here is easily on par with many table service spots. And when you consider that the average price of an entree here is just over $13, it also makes a lot of sense to spend your DDP credits here. Looking for a recommendation? You won’t go wrong with their Pizzas, which are prepared in a wood-burning oven. 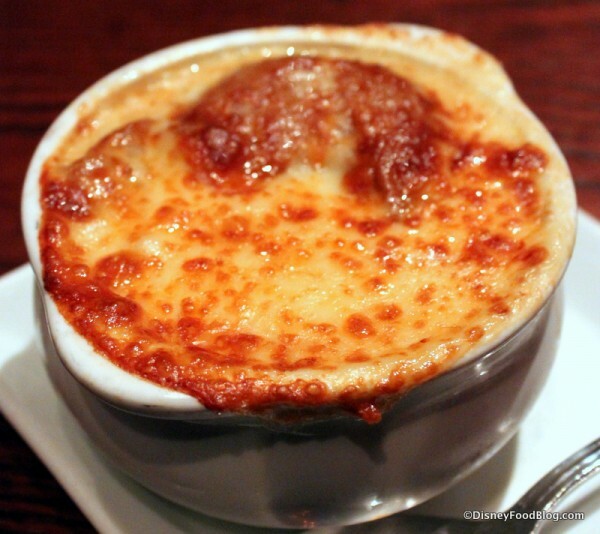 Their Soups and Pastas are delicious as well. 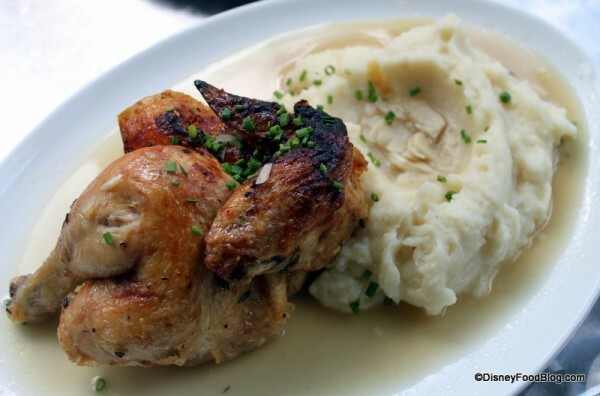 And I love their Roasted Chicken when I’m looking for comfort food. Desserts are killer, too, so be sure to take advantage. The number of menu items is fairly small, but all of the plates are loaded! And if you’re using your DDP here, you’ll capitalize on the Quick Service credits, as the average entree price is just over $12.50. The food will keep you going for hours, too! And with a plethora of toppings available at their legendary Condiment Bar, you can customize your meal and have it just the way you like it. 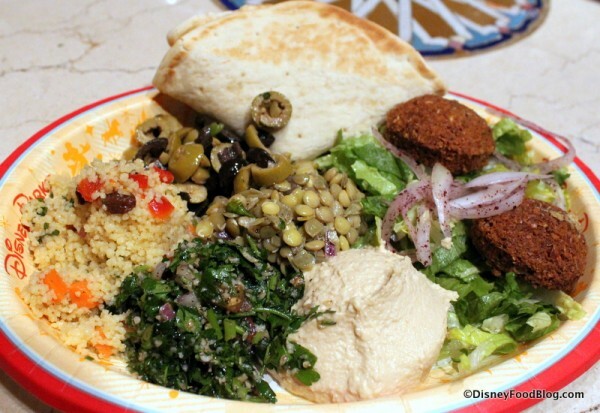 We all know that Epcot is a great spot when it comes to diverse dining options. 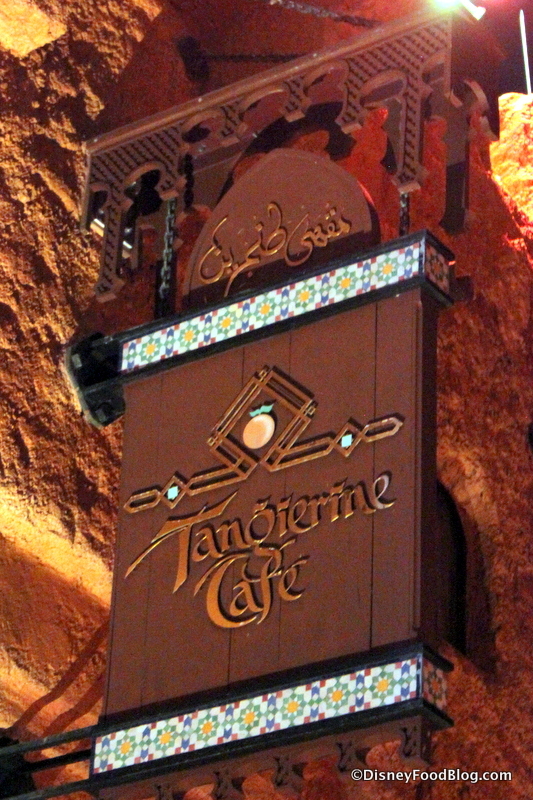 But if you’re looking to maximize your quick service credits, be sure to check out Tangierine Cafe in the Morocco Pavilion. Not only is the food seriously interesting, but the atmosphere is lovely as well. Exotic touches like Zellige tile, colored glass, and beautiful light fixtures serve to transport you. But then, the food! There are some fantastic options here — I mean, how often will you find Lamb on a fast food menu?? 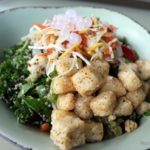 This is also a great spot for delicious and out of the ordinary Vegetarian options. We’ve enjoyed the Shawarma Platters and the Kefta Sandwich as well. But what if you’re looking for excellent value in quick service dining at your hotel? Since it opened, Landscape of Flavors at Disney’s Art of Animation Resort has been something extra special. With a wide range of signature dishes — more than 25 dinner offerings alone — there’s always something interesting to choose from. Looking for something a little out of the ordinary? 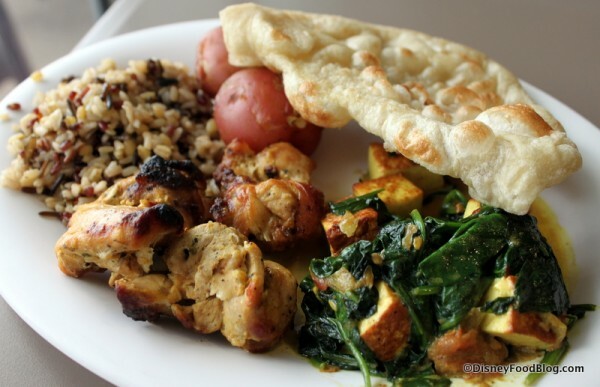 Try one of their Indian-inspired meals, like Tandoori Chicken. The Surf and Surf Burger tops the list for many Disney food fans. But my favorite has to be the Create Your Own Pasta Bar. Choose your Pasta, your Sauce, and your Ingredients, and watch a Disney chef make your custom dish! 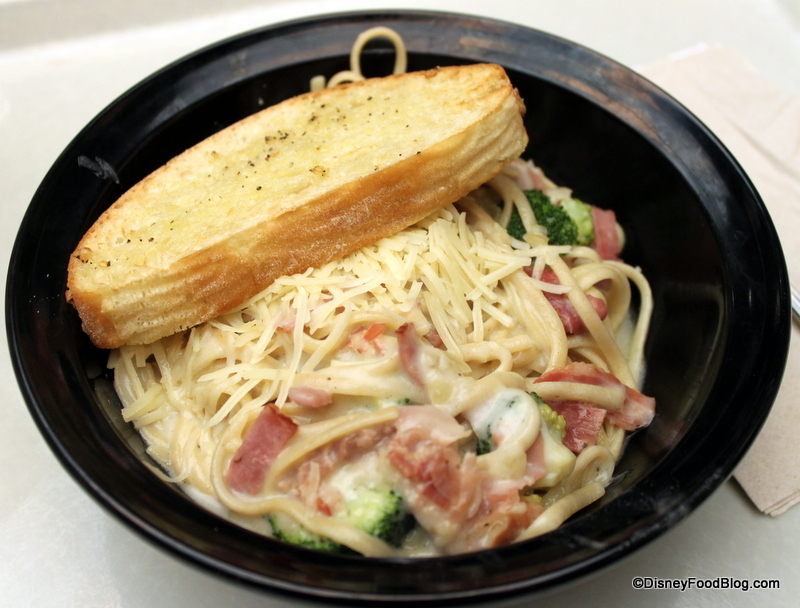 Spaghetti Carbonara with Broccoli from Landscape of Flavors — So Good! When it comes to Epcot and food, most of the attention goes to the eateries of World Showcase. And many of them are pretty great. 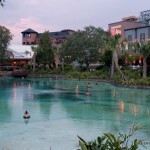 But overlooking Sunshine Seasons would definitely be a mistake. 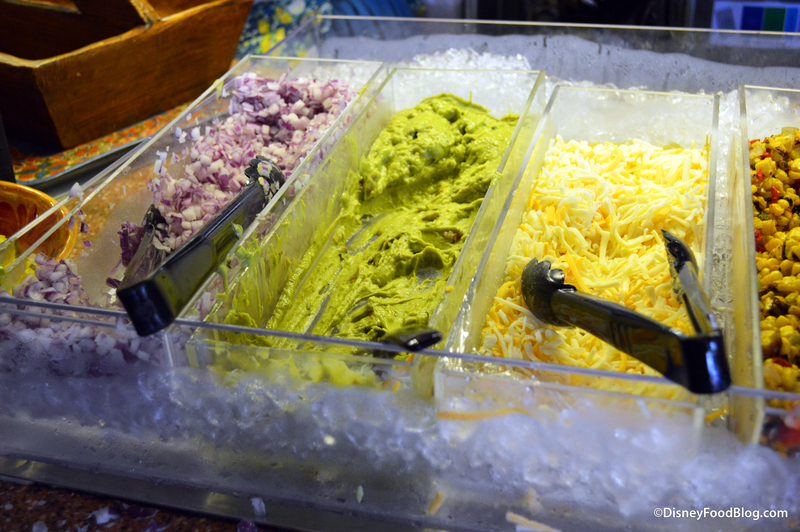 This quick service spot, located in Future World’s Land Pavilion, offers fresh flavors with international flair. Look for Stir Fry options and Spicy Fish Tacos if you’re feeling adventurous. There are always interesting vegetarian options as well. You’ll also find some cult classics that we can rarely resist. 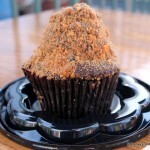 Be sure to try their Cupcakes, Warm Peanut Butter Brownie, or Strawberry Shortcake if you get the chance. 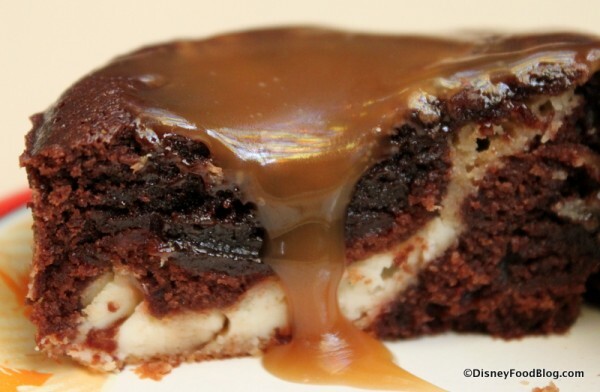 They’re some of our favorite desserts around! And finally, we come to our last recommendation. Yep, you probably aren’t surprised, but we can’t wrap up this list without visiting one of our favorite lunch spots, Be Our Guest Restaurant in Magic Kingdom. 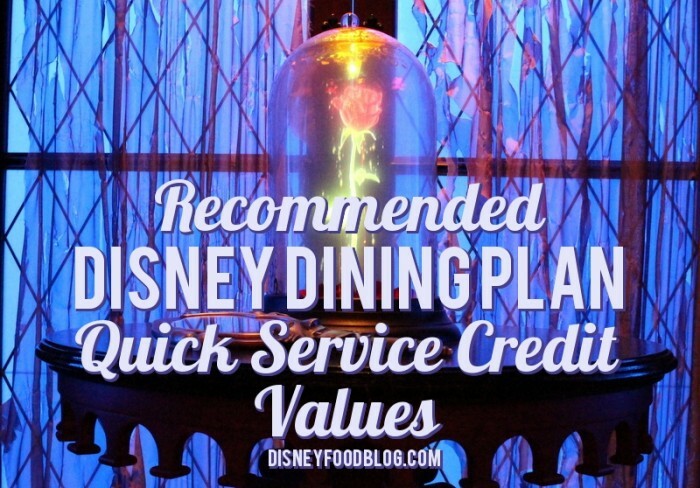 Why do we like Be Our Guest, and why do we recommend it pretty much, well, always? A few reasons. First, dinner is not an easy advance dining reservation to land, and taking the opportunity to look around Beast’s Castle in the middle of the day may be just the thing if you’ve struggled to snag a dinner ressie. 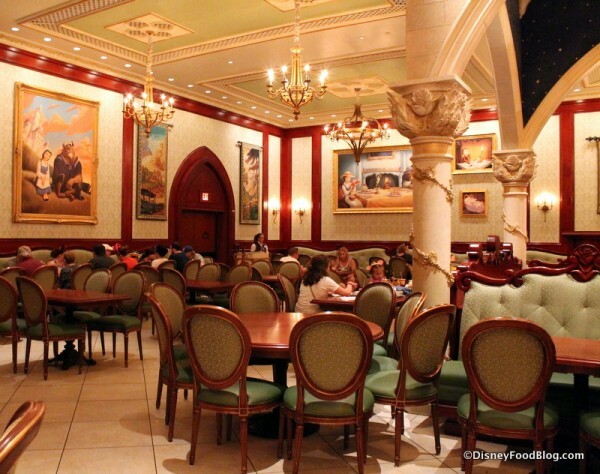 I Love to Check Out the Paintings in the Rose Gallery at Be Our Guest! But also, just like some of our other favorites, it’s not your typical fast food. You won’t be dining on burgers and dogs. Instead, a French-inspired menu rules at Be Our Guest. And while my favorite dish, hands down, is the Braised Pork, Coq au Vin Style, other items score a close second. If you’re looking for a hearty sandwich, check out the Carved Prime Chuck Roast Beef Sandwich. Fans of lighter fare will enjoy the Tuna Niçoise Salad, featuring Seared Tuna, Hard Poached Eggs, Fingerling Potatoes, and Olives atop a bed of Spring Mix. It’s a truly beautiful plate. But wait! There’s more! We have one last bit of info for you to consider as you plan your DDP Quick Service meals. We love the the Contempo Cafe at Disney’s Contemporary Resort for their better than average Sandwiches, Salads, and Flatbreads. Their Pot Roast is swoon-worthy IMO, and don’t even get me started on that Peanut Butter Pie! But actually, most of their entrees are fairly reasonable…except for their Lobster Roll. At $17.99, this is pretty much the most expensive quick service entree we’ve run across. So if getting your money’s worth is your plan and you’re a lobster lover, then go for it! Ready for All of Our Best Tips? 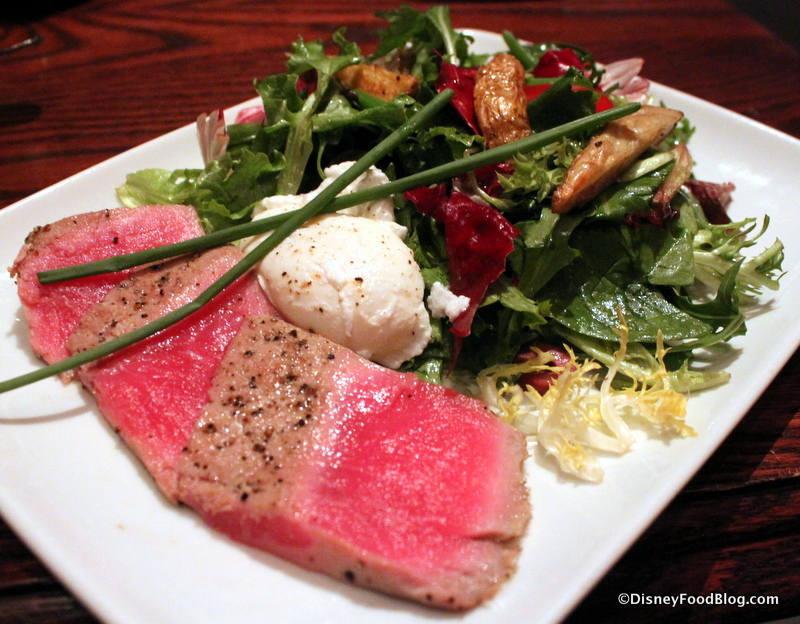 We’ve got TONS of Disney World Dining Tips — including LOTS of restaurant suggestions for your every need — in our big, bold 2016 DFB Guide to Walt Disney World® Dining! 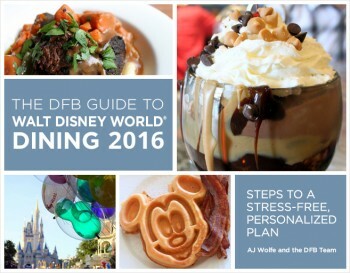 With more than 530 pages, The DFB Guide to Walt Disney World® Dining is full of tips and planning tools developed by Disney World experts over 20+ years of visits. We’ve done the research for you, so you’ll know just which spots will uniquely suit your family’s needs! With sample dining itineraries, plus our “Disney Dining at a Glance” section, featuring “Where Can I Find?” options, you’ll have everything you need to plan your best vacation yet. Click here to get your copy of The DFB Guide to Walt Disney World® Dining E-book — and use code HAPPYPLACE for an extra $4 discount for a limited time! Now, I’m super excited to hear your recommendations! 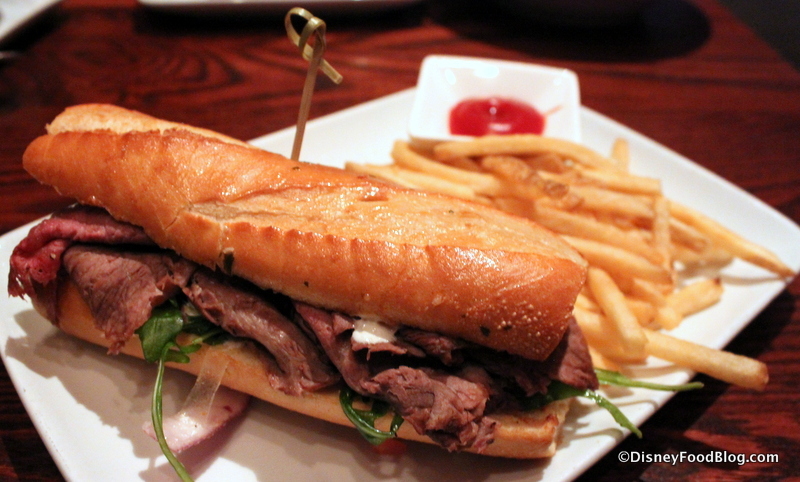 What are Disney Quick Service locations and meals that you feel give you the most for your Disney Dining Plan Credits? Leave a comment and join in the conversation! « News: Disney Star Wars Land Restaurant Details and Concept Art! Great choices! Although I admit I haven’t eaten at all of them. But YES to Wolfgang Puck Express, the best!! My parents are at Disney now, and went there for breakfast even though they’re not on the dining plan! They are a great choice for any time of the day. Landscape always sounds interesting but haven’t stayed there. And Sunshine and Tangerine I’m afraid always lose out to other places at Epcot (it doesn’t help that we are usually there during Food and Wine Festival). We always make sure to get shawarma at Tangierine Cafe. So good! 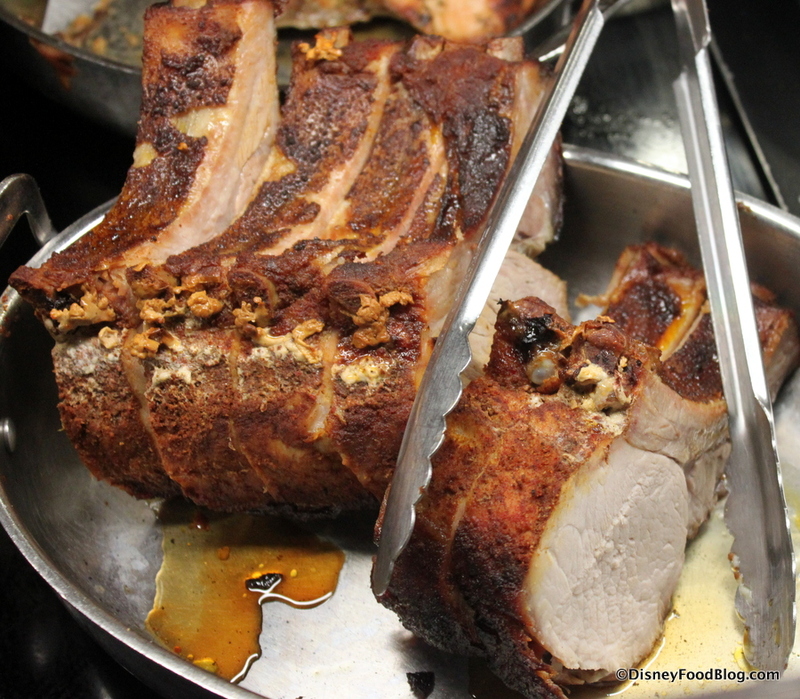 The braised pork at Be Our Guest is another of my favorites, though we did breakfast there last trip and were very pleased. I don’t know that I’d go for breakfast if I wasn’t on the dining plan, because it’s kind of expensive, but that’s a bonus when it’s a meal credit. Sunshine Seasons is another favorite because they have great food AND great desserts. We also frequently hit La Cantina De San Angel. And if we’re not super hungry but have credits to use up, we’ll go to Kringla or the Boulangerie to get a sandwich and a great pastry. 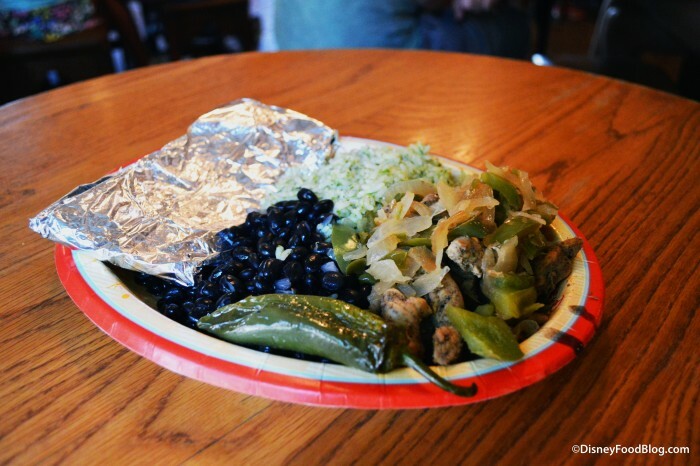 Agreed that San Angel is a frequent stop for us as well, really looking forward to the new burrito options at Pecos Bill. Also want to add many of the items available at Katsura Grill in Japan. Last (and I hope more will come in other parks) are the food and wince festival type snacks being added throughout Animal Kingdom. I am totally confused. You speak of getting reservations at BOG, but I didn’t think you could get reservations on a Quick Service plan? If I can, how does that work? We always picked Sunshine Season as our first stop but now that they have taken away the beet salad, we may choose somewhere else next time. 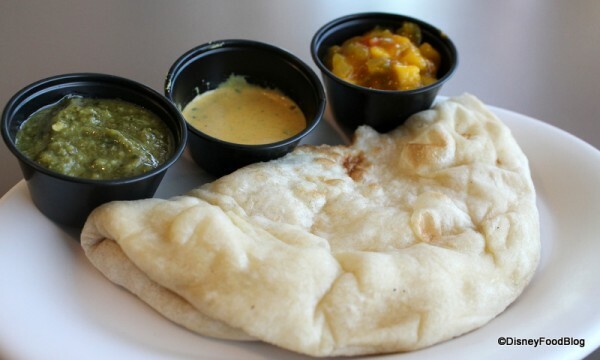 We have wanted the Naan bread our last couple trips but haven’t wanted to waste the time going all the way to Animal Kingdom Lodge when there is so much to do everywhere else. Maybe this next time….it always sounds fantastic. 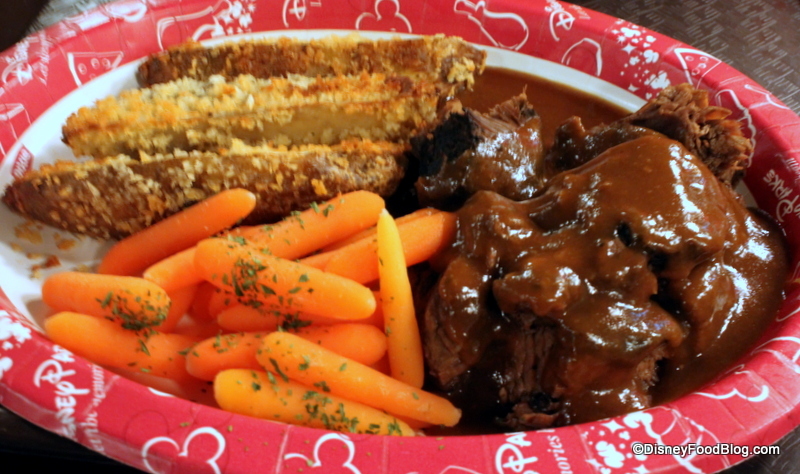 I do agree with Molly about the Braised Pork at Be Our Guest. A true favorite. What about Columbia Harbor House? We love that place and it also contains a lot of seafood that is somewhat pricey. 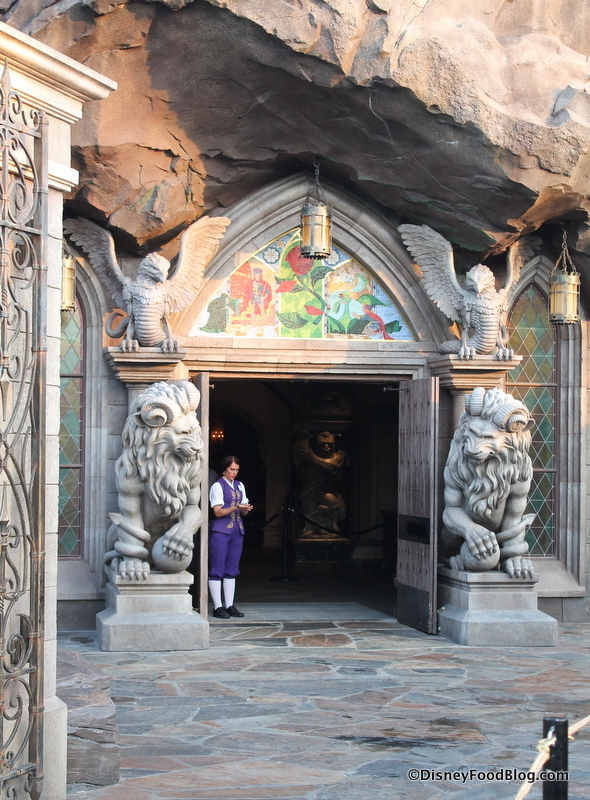 Margaret, Be Our Guest is a quick service for breakfast and lunch, but it also takes reservations for those meals. 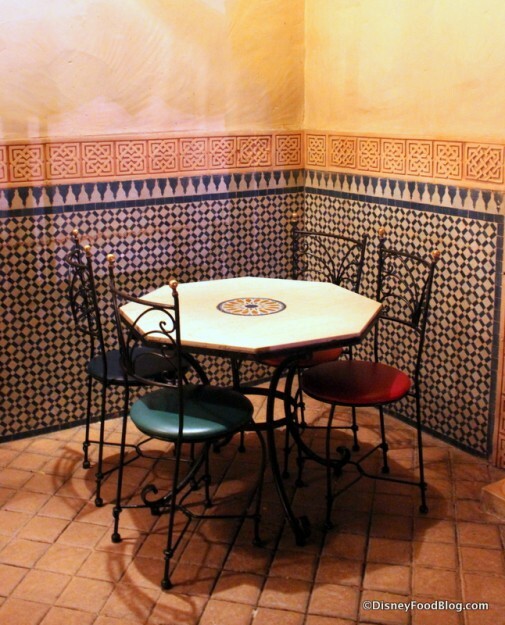 In fact, it is very difficult to get in there without a reservation. You know what would be a great theme for quick service dining? 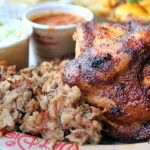 Carny food – all that stuff you love to get at State Fairs and Carnivals. 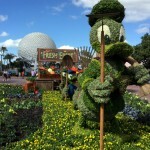 They could set one up in New Fantasyland by Dumbo and one in Animal Kingdom near Dinoworld. I bet those two places would be swamped with guests all the time. Corn dogs on a stick, plastic cheese and ball park nachos, hot dogs, burgers, deep-fried candy bars. All that great stuff that isn’t healthy, but is fun to eat. Color me unimpressed with Be Our Guest. We ate there for lunch in November 2013 (admittedly, things may have changed since then) and while the decor was nice enough, the fact that the restaurant is basically an enormous cafeteria was a letdown. My sandwich was nothing special, either. 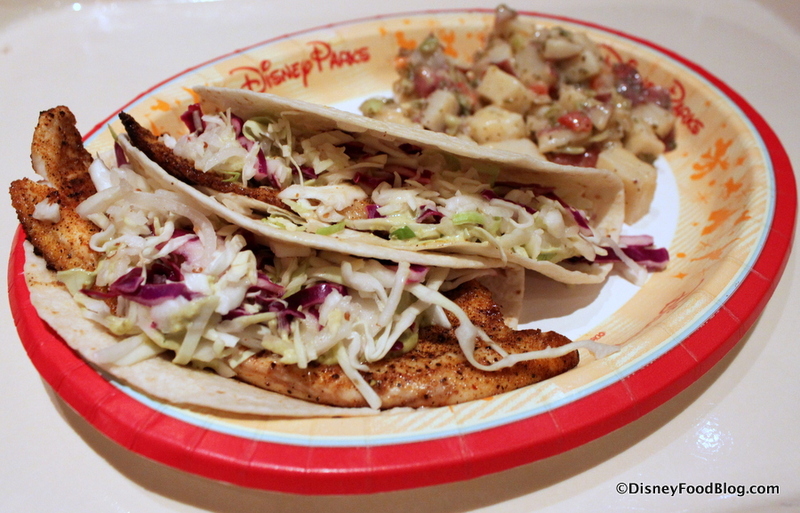 Great choices, but I would have added Flame Tree BBQ rib and chicken combo – pricey out of pocket and yummy! Lamb for fast food? Maybe it’s a Chicago thing, but just about every fast food place that isn’t a chain offers lamb here! Gyros! Agree with all those completely. Great food and great uses of the dining plan. We used to get the 1/2 chicken and ribs combo at Cosmic Ray’s but seems like whenever we go, that bay is closed so we’ve moved over to Pecos Bills. My favorite is the lobster roll special from the Boardwalk Bakery. It comes with soup or salad & one of their desserts. 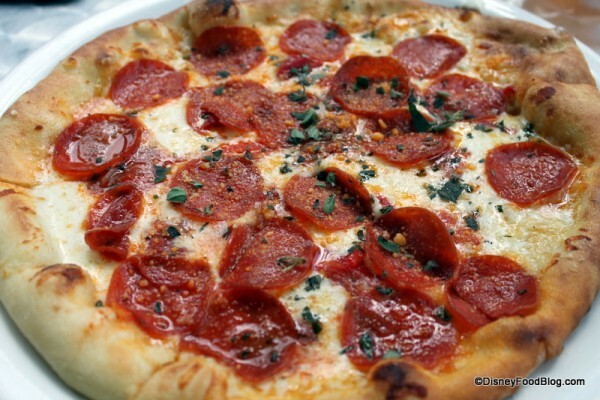 My mouth is watering just thinking about it! Carrie, it’s the very first recommendation on our 2018 list! Read it here!